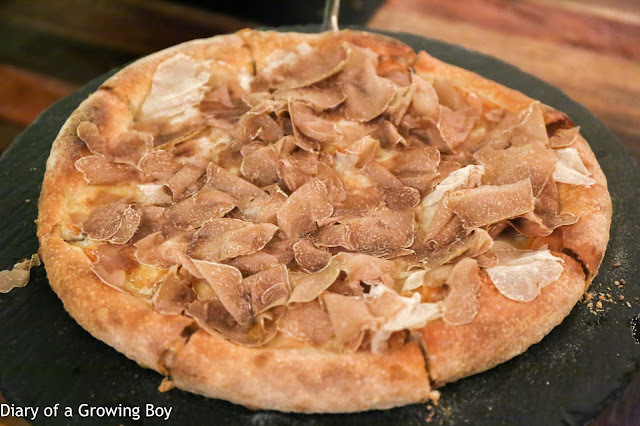 Pizza tartufo bianco, mozzarella, taleggio and Alba white truffle - this was undoubtedly the most expensive pizza I have ever had, priced at just around USD 300. The reason is simple - about 90% of the price went into those shavings on top. As he did with the scrambled eggs, the chef pushed the little cart over. A few large chunks of white truffles sat on a plate, and he picked one up and started shaving - making circles over the pizza. Then he put the truffle down, picked up another one with a slightly different fragrance, and started shaving again. 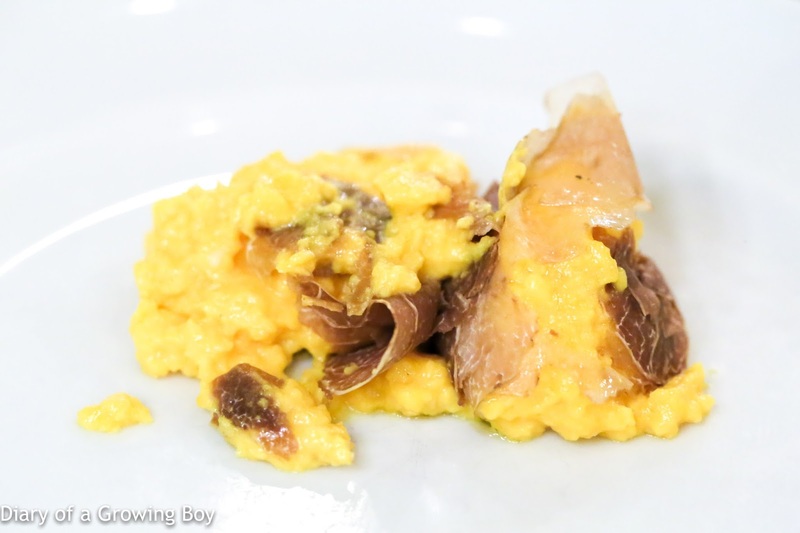 Chef Umberto Bombana likes to shave from different truffles onto the same dish and deliver a "blended" fragrance, so all the restaurants under his care do the same. Honestly, this is a sight to behold. And I can't begin to tell you how good the pizza smelled... and tasted. Simply beautiful. Classic carbonara homemade tagliolini - I've always loved the carbonara that I could order off the menu at 8½ Otto e Mezzo Bombana, so I figured I'd order one up here tonight. Big mistake. My friend was right. This tasted mostly of egg yolk, but the consistency of the sauce was just wrong. Waaaay too wet, and actually I could taste a certain level of grainy, powdery texture on my tongue. There was almost no trace of onions, but the small and dense cubes of pancetta (or perhaps it was the lean part of guanciale?) made things slightly better. This was definitely a FAIL and nothing like this. Homemade tagliolini, butter, Parmesan cheese and Alba white truffle - Hello Kitty shared a little bit of this with me. 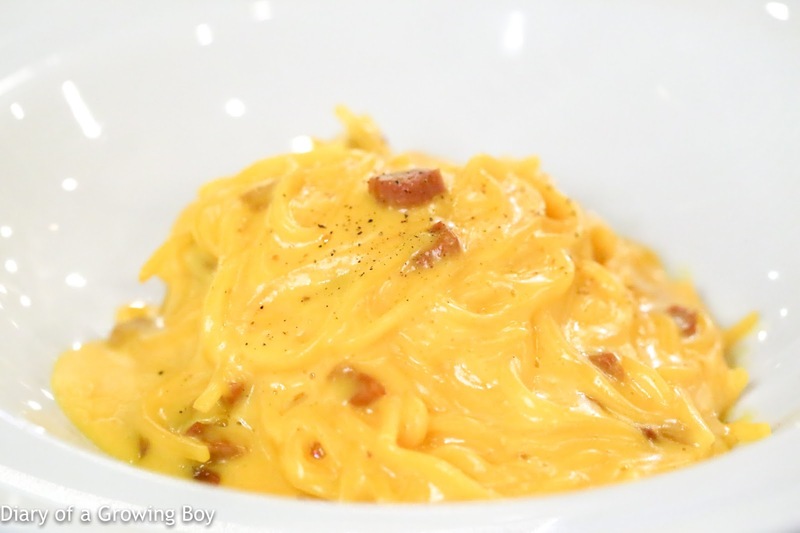 This turned out roughly the same as the carbonara, as the sauce was also a little too wet for my taste. They must have adapted to the local Hong Kong palate for some reason... 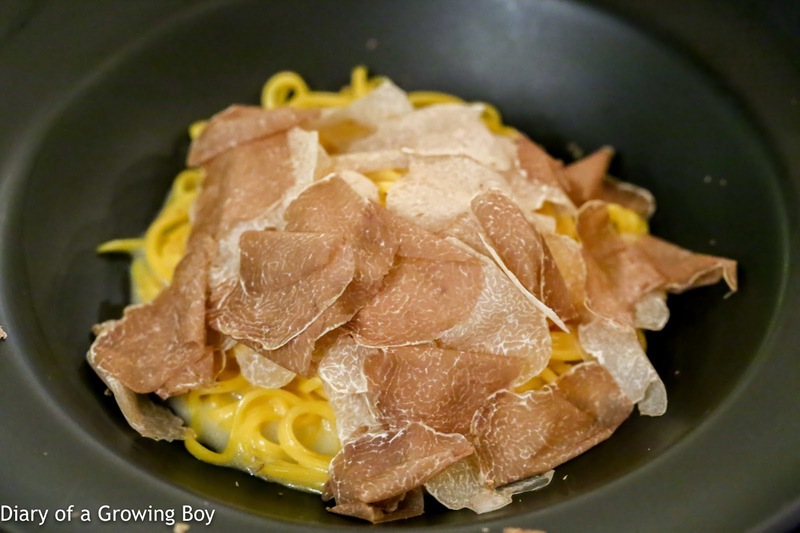 But the saving grace here, of course, was the truffle that was shaved on top. How can I not love something with all that beautiful truffle on top?? ?